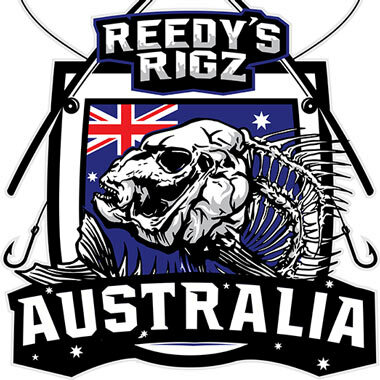 In this Gps Guide of Port Phillip bay Snapper Fishing .click and use the map to find Location’s for gps Data on each location or gps sport .The Gps Mark has information for each individual GPS mark on the clickable Map .including Recommend , Time to fish / Bait to fish / Tide to fish / Rig to fish . Diagram of a ledger is Below . Also Included is Additional information Such as Our Personal Experience’s Video’s Image’s & Links . 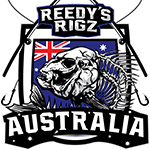 Best Time To Fish GPS mark Location – The Month Best Time For fishing The Area ‘s GPS Mark . So in this Guide this how i see it , some people may agree some will not , the choice is yours to make . But i find the best time to catch a snapper is in November without a shadow of Doubt. How can i catch a Red Before November ? 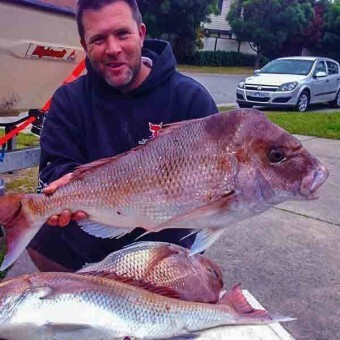 Snapper start migrating from the ocean into Port Phillip bay at the end of winter which is a trickle offish at first and mass of schools towards the end of October & start of November. Snapper use the big tide’s to migrate in the spring months of September, October, November leading up to November until the Bay is full of snapper in November . Melbourne. But you can catch them anywhere thought out the bay early season as they have to swim there first. when they enter Port Phillip there are many channels just after the entrance in the mud island region / South Channel . which I believe have an impact on which side of the bay the majority they travel through to the get to top end of Port Phillip Bay. Also a lot of factor’s I believe may affected which channel they swim through like wind ,tide ,and natural contour lines & ultimately where they end up travelling through the bay. I have noticed some interesting points over the years . Melbourne get’s a lot of big south westerly & south winds in these months & also if you study natural contours lines on GPS Depth Charts maps they lead to the north & east side rather than the west side, but there no question the fish still get caught on the west side there is no doubting that, but I think it explains how majority of the fish end up on the east side of port phillip bay. So knowing this information helps me target them in this time period I also noticed they genially travel in the same area every through the bay each year , If you understand this you can make decisions on where to start sounding & catch a early season snapper. It’s no accident the same old heads catch early season snapper every year and its because they understanding what the Snapper do , where they go & when you need to be out fishing. Get your hands on a Depth Chart . with contour lines . Port Phillip Bay Melbourne Snapper GPS Marks with Data information on when to fish these gps locations . 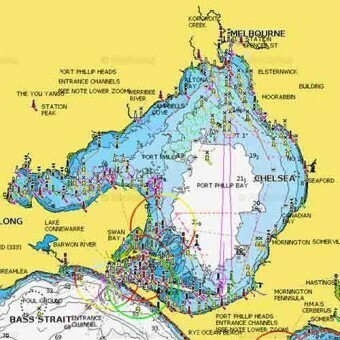 Best Bait’s , Moon’s and all gps Data to help you catch a snapper this season .This map Has Awesome information for Fishing in Melbourne Port Phillip bay Australia .We will be updating this map with new Port Phillip bay hot spots & GPS Locations for fishing Port Phillip bay Melbourne. Gps Map Port Phillip bay Snapper. This Article is more in depth With Video And a few Extra Tips. Snapper On My Sounder What does it Look Like On a Hds in Port phillip ? 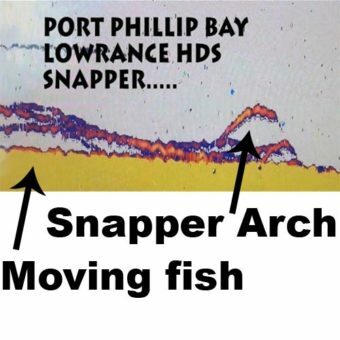 The Below screen shot is an image of snapper on the bottom of port phillip bay on my HDS Sounder By Lowrance . you want to see orange color inside of the arch . 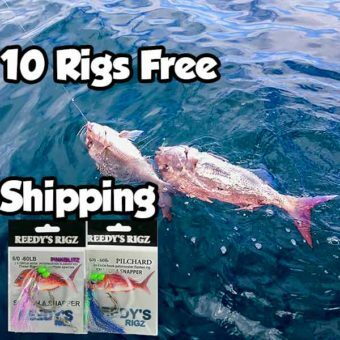 HDS sounders are very sensitive and in port Phillip bay there is lots of bait school which are mainly pilchards or scad they will look different like a blob on your sounder . it takes awhile to get use to sounding so take your time to understand how it works . i dont anchor until i see this sort image on my screen , it can take hours on some days , in snapper season i will look for this kind of image . but when its not in season i will be satisfied with one arch , also the size of the arch matter’s as these days with HDS & Sounders Pinkies or small snapper will display as Arches over time you will learn your sounder .